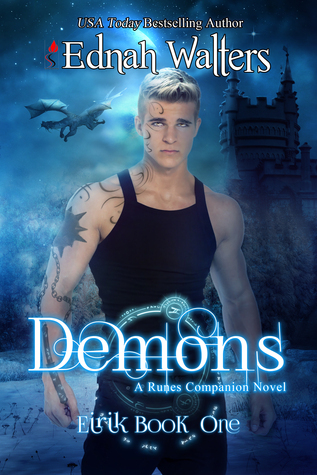 Synopsis (Goodreads) – Demons continues the Runes series by USA Today bestselling author Ednah Walters. What happened to Eirik after he left his friends on Earth and went to Hel? Runes series continues with Eirik's books. Contains possible spoilers from the Runes series. Demons is a continuation of the Runes series but from Eiriks POV. Eirik is Raine from the Runes series best friend and has recently found out that he is the son of Baldur, God of Light and has been hidden in the human world not having any idea of who his real parents were. I have always loved Eirik, he was a strong character so it was great to read from his POV and see the changes in him – there is more anger but he is trying to adapt to his new life. We follow Eirik into the world of Hel in order for him to meet his birth mother, Goddess Hel who rules the underworld but his welcome is definitely not what he expected and he ends up thrown in the dungeon until he can prove himself to her. The dynamic between Baldur and Hel was certainly interesting but my heart broke for Eirik and what we learn of his past. Celestia Devereaux is a seventeen year-old witch in training and is able to astral project to save others; this is how she first met Eirik or so she thought. Celestia was pretty amazing! She has such a strong personality and complimented Eririk well. She is strong willed, determined, a little stubborn but also very sweet. There is a prediction about Celestia in that she would one day be responsible for destruction and the harbinger of death, something that she fights with every day and keeps secret but I loved her witch pride and the way that she was so eager to help everyone that she was able to astral project to. I thoroughly enjoyed Ednah Walters’ world-building, it is full of norse mythology and intrigue, with a really sweet slow to burn budding romance, my favourite! The mythology was well explained and I loved learning more about the souls and other creatures that reside in Hel. We meet some great side characters, I loved Trudy; a gigantress and it was great to see a reappearance from Echo. I have read all of Ednah Walter’s series and enjoy her engaging writing style. She writes incredible characters that are true to life and storylines that keep you mesmerised and wanting more. About the author: Her award-winning, International Bestselling YA Paranormal Romance—Runes Series—started with Runes and has a total of 6 books to date. 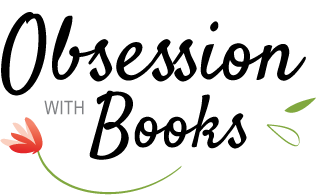 The last one, Witches, released in March 2015, was a Readers Choice Awards winner. Her most recent addition is Demons, A Runes Companion Novel (Eirik Book 1). Demons is the story of Raines best friend and former crush Eirik Seville. Thanks Kimba! this series is great, the world-building is done very well. I do like this author and I also love mythology based books. I so need to check this one out. I love her books Melissa, I was a little hesitant about starting this series but I'm now a huge Eirik fan.